What can be defined as furniture? I like the answer that any objects, closely related to human scale, with interactive quality and function associated with the human behavior. 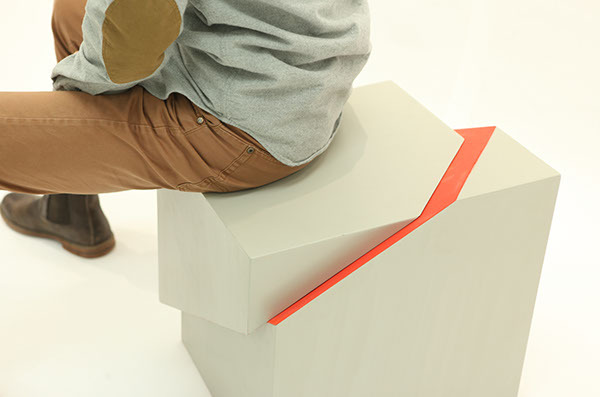 This cube seat is designed to have a sliding part which could respond to the applied pressure, giving a surprise to those who put their weight and trust on a humble cube. 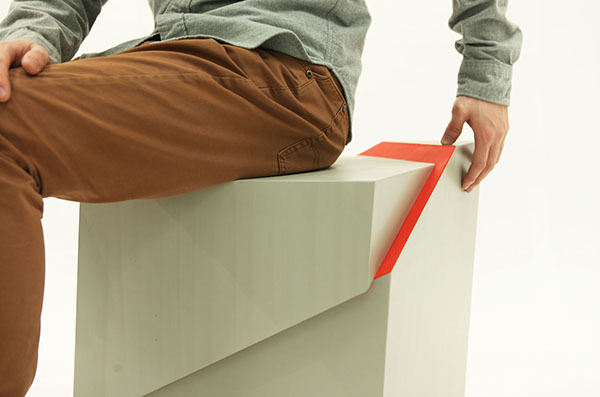 It provides an access to a very interesting process of observing and interfering human behavior and creating unique experience of using a piece of furniture. An object with extremely simple form indicates tremendous possibilities to be engaged, however, the cube ends up with one single humorous manner of interacting, and this dramatic atmosphere is fascinating to me as well. What can be defined as furniture? I like the answer that any objects, closely related to human scale, with interactive quality and function associated with the human behavior. 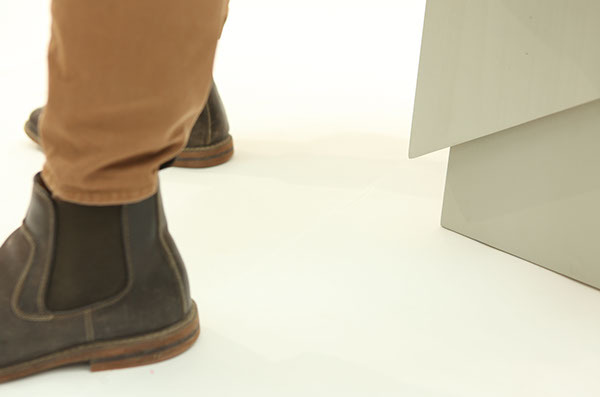 This cube seat is designed to have a sliding part which could respond to the applied pressure, giving a surprise to those who put their weight and trust on a humble cube. It provides an access to a very interesting process of observing and interfering human behavior and creating unique experience of using a piece of furniture. 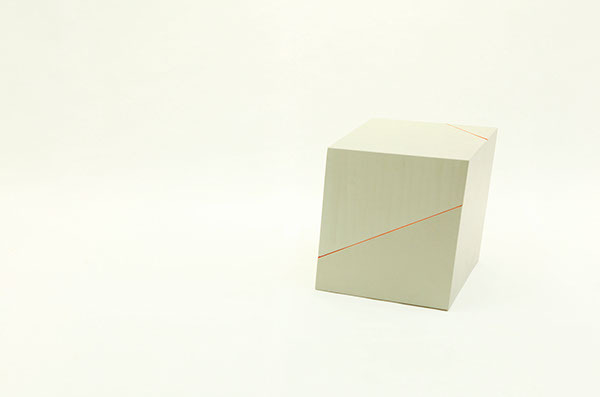 An object with extremely simple form indicates tremendous possibilities to be engaged, however, the cube ends up with one single humorous manner of interacting, and this dramatic atmosphere is fascinating to me as well.